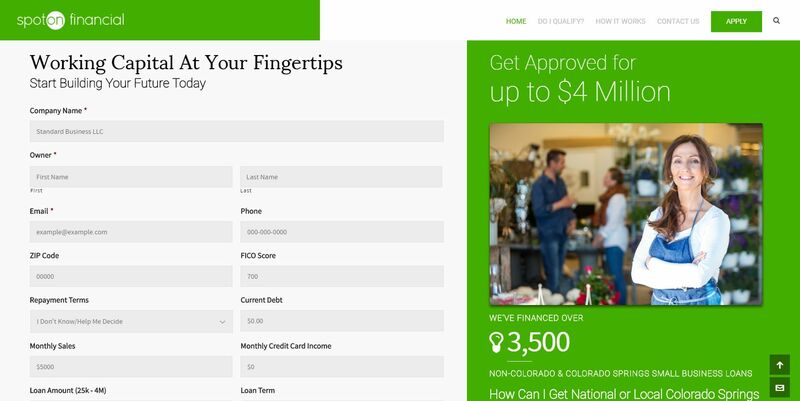 SpotOn Financial is a Colorado Loan and Colorado Springs Small Business Loan private lender that aids small businesses in the Colorado Springs area. 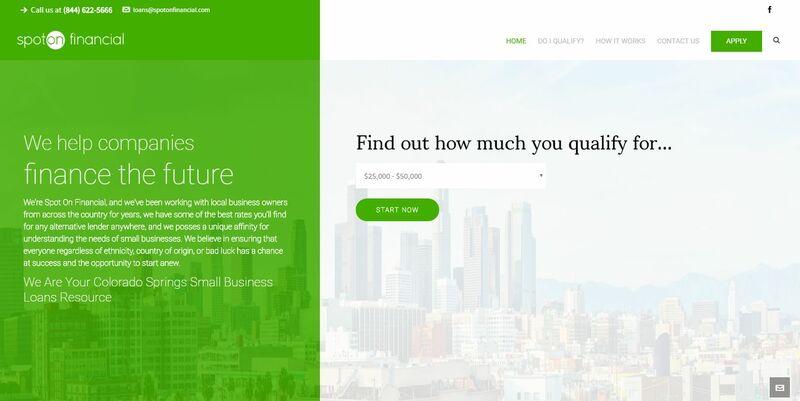 Our work with them was to increase the amount of leads they were receiving and improvements made to their organic SEO. In addition, we provided PPC Consulting and Web Development.